This is part of a Goodreads review for RITE OF WRONGS. I’m not quoting the whole thing because there are some plot points that for me as a reader would be spoilers (but I’m the one who won’t enter a movie if the previews have started…); I like to learn everything as I read or watch. I hate knowing what’s coming. I LOVE this review because I LOVE tortured lead characters. 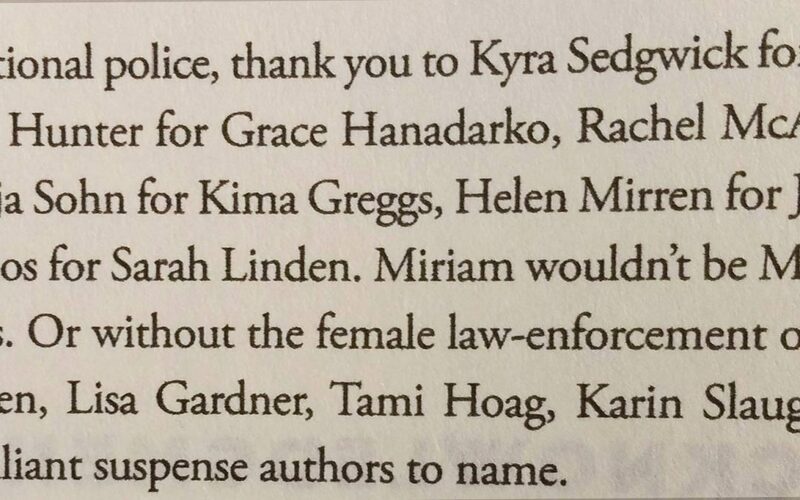 In fact, I mentioned some of my favorites in the book’s acknowledgements. Watching these particular female law enforcement officers, and reading about others is a big part of what drew me to writing Miriam as I did. Another Goodreads review says: There is nothing to suggest it, but I would LOVE to see this develop into a series. So would I! It’s always been my plan to write more of Miriam and crew, so come Tuesday, GO FORTH AND BUY! You’ll want a copy, and I’m sure you have friends who’ll want copies, and there’s nothing wrong with having a backup copy, or a digital, print, and audio version, right? So let’s do this! GO GO MIRIAM ROME!